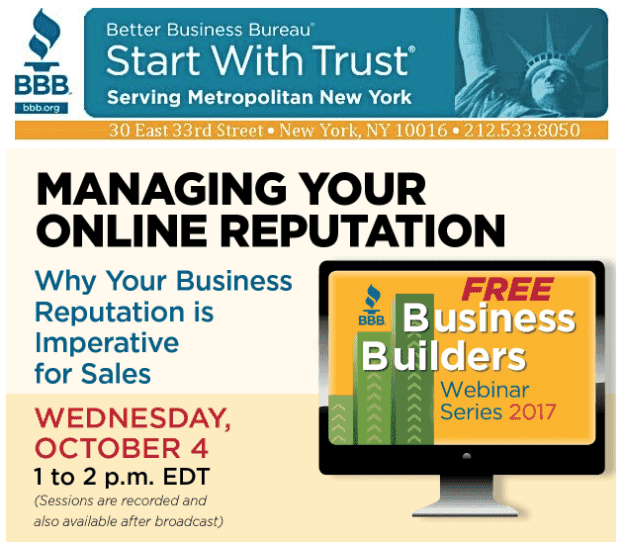 Our CEO, Alan Rabinowitz, will be a featured speaker for a BBB webinar on Oct. 4, 2017. Covering how your reputation is important for online sales. Learn the importance of managing your online reputation for any business and how to encourage happy customers or clients to give you a good review. This is an exclusive webinar for all BBB businesses. If you’re a BBB Member, check your email for registration information.